The 136th annual VP Parade continues on July 4, 2018 as an enduring family tradition. Young Saint Louis women learn the value and reward of volunteerism for the City of Saint Louis and its residents. Volunteers from the Community Service Initiative dress ball gowns and celebrate with the crowning of the Queen of Love and Beauty. Working to make St. Louis a better place to live for all. 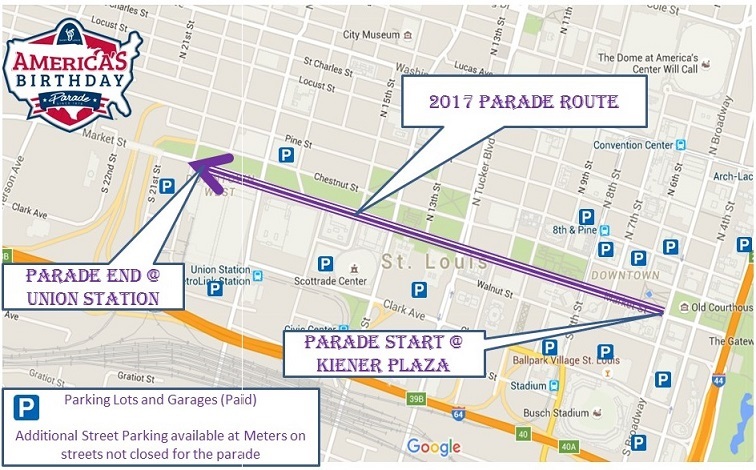 America's Birthday Parade 2018 Parade Day Guide. To enrich the quality of life in the greater St. Louis community. The preeminent formal gala for introducing young ladies. Copyright © 2013 Veiled Prophet Organization. All Rights Reserved.